2017/03/31 Thank you for staying! 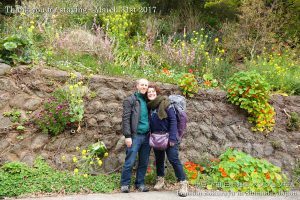 They came from Paris in France for the first time and stayed for one night. 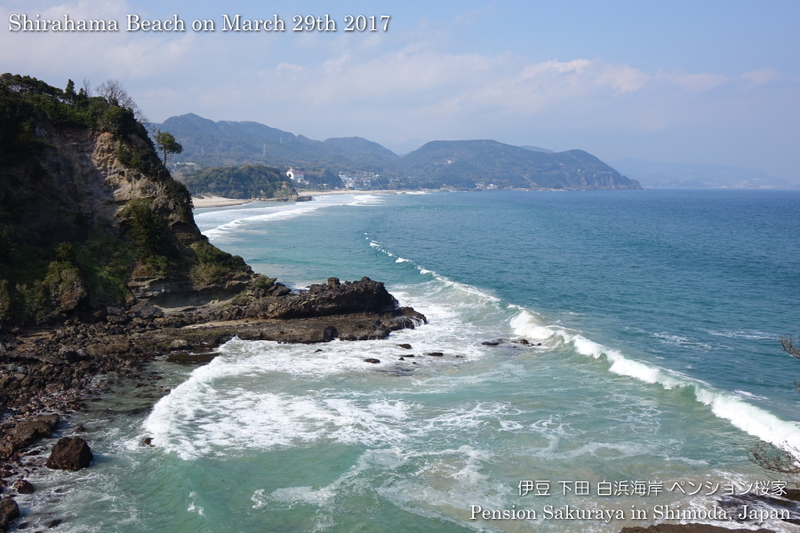 Before coming to Shimoda they went to Nikko and Hakone, and they will go to Shuzenji, Kyoto, Nara, Hiroshima and Miyajima after Shimoda. 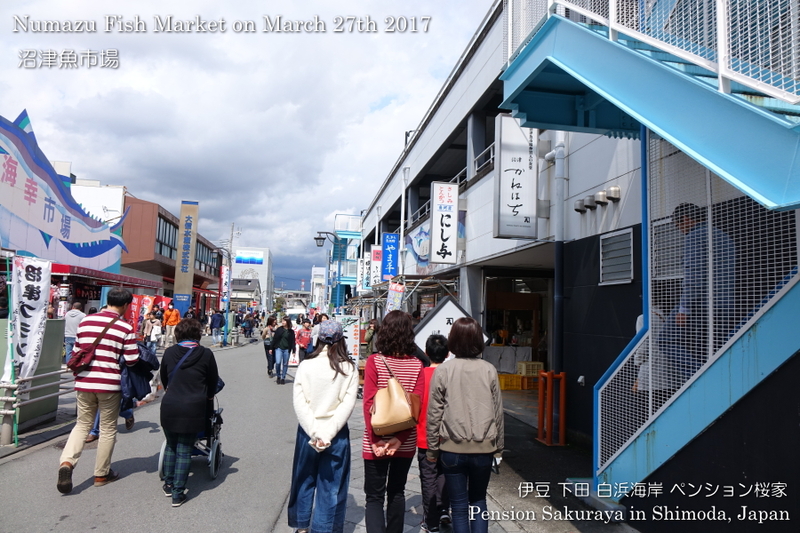 This entry was posted in Customers, Pension Sakuraya on 2017年3月31日 by izusakuraya. 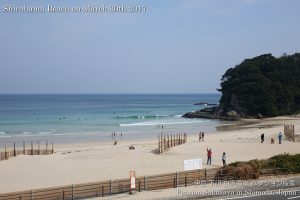 It’s getting warmer day after day. 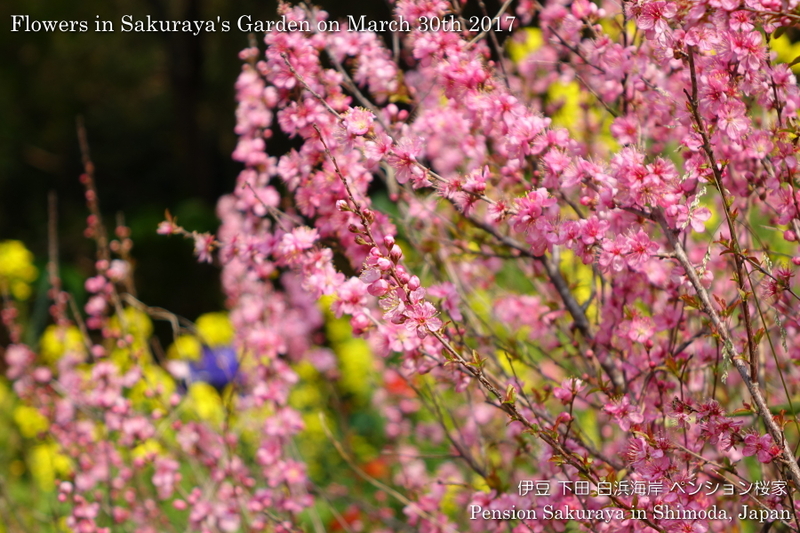 A lot of spring flowers started blooming. 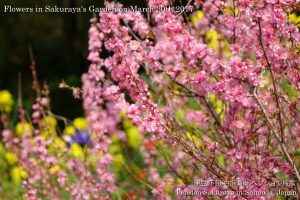 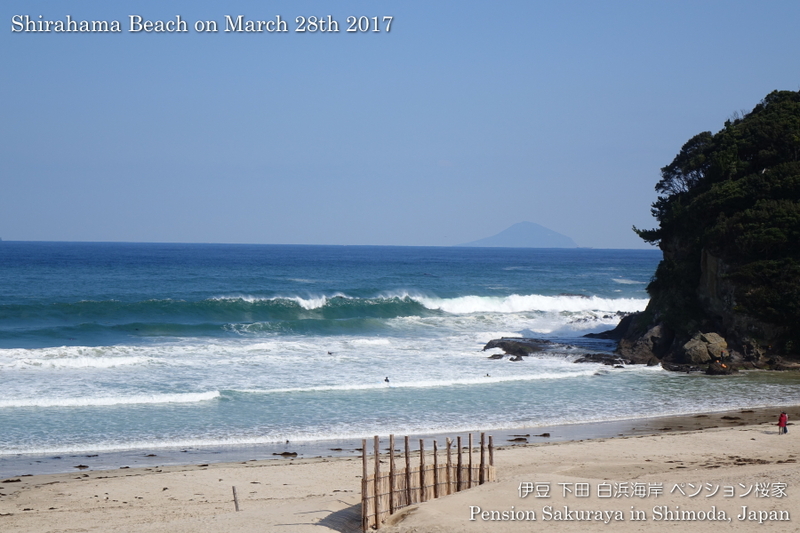 This entry was posted in beach, Flower on 2017年3月30日 by izusakuraya. They had good waves for surfing today again. This entry was posted in beach on 2017年3月29日 by izusakuraya. 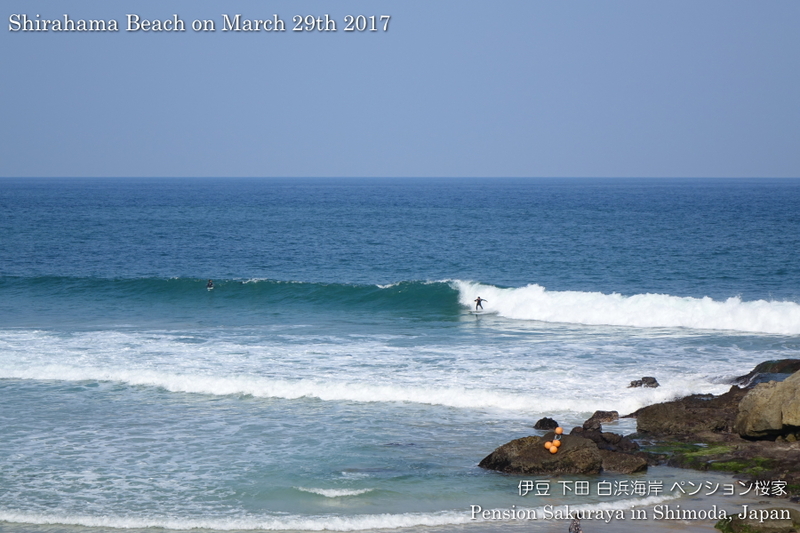 They had big waves here in Shirahama today. 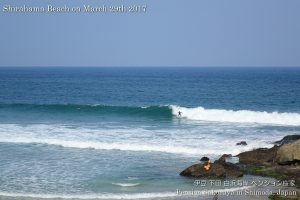 But there are only 3 surf boarders in the water. 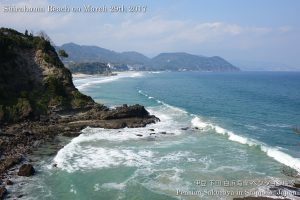 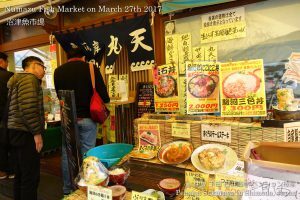 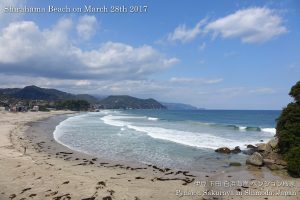 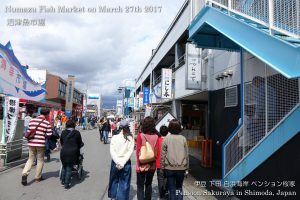 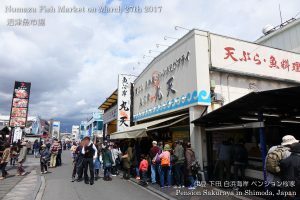 This entry was posted in beach on 2017年3月28日 by izusakuraya. 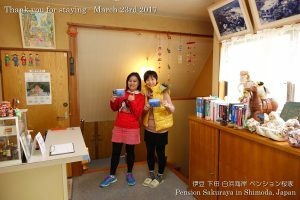 2017/03/23 Thank you for staying! 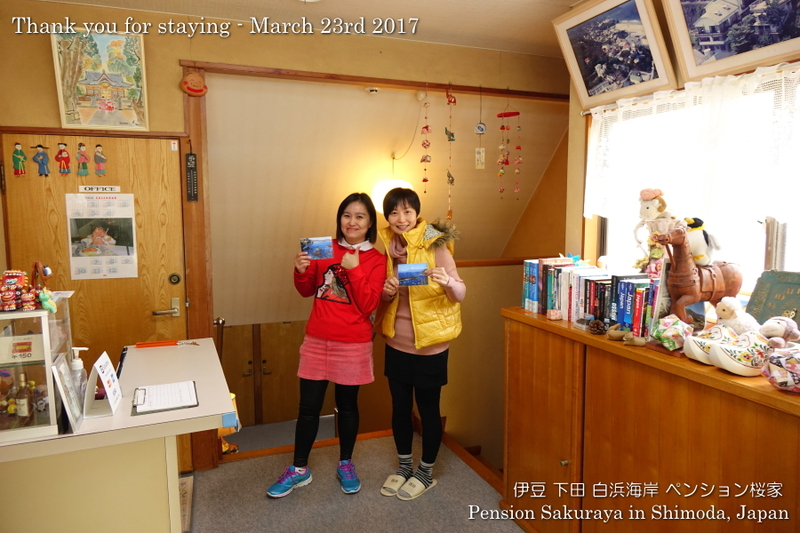 They came from Malaysia and stayed for one night. 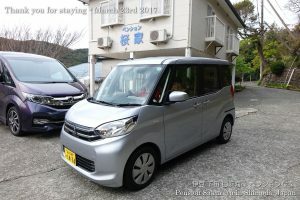 One of them has come to Japan twice before, but it was the first time for the other one. They went to the restaurant in Shimoda to have Kinmedai fish for dinner. 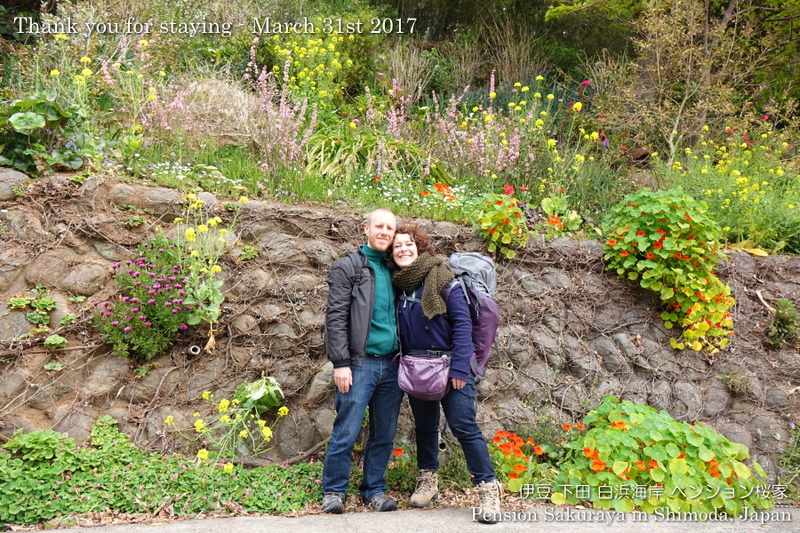 After they checked out they went to Dogashima on the west side of Izu peninsula and were going to stay in Yugashima at the middle of Izu peninsula. This entry was posted in Customers, Pension Sakuraya on 2017年3月23日 by izusakuraya.